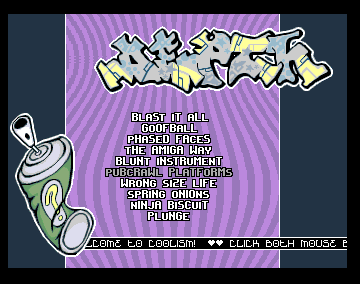 I am happy to announce that DEPTH have released COOLISM – a chippack featuring music by Curt Cool, code by Skurk and graphics by Sprocket, made to celebrate the 15th jubilee of our first release, Cooltunes, from way back in spring 1994. It should work on all Amigas and UAE configurations and can be obtained right here. Enjoy!!! This entry was posted in Releases and tagged Chippack Jubilee. Bookmark the permalink.